Arrogant, dominance, like clockwork those a the terms that the best describe Bayern München’s first game under Jupp Heynckes. Heynckes’ first task as the new/old head coach of Bayern was to stabilise the club, and he did just that as the Rekordmeister’s win against Freiburg was never in doubt. Heynckes moved the formation from Carlo Ancelotti’s 4-3-3 to 4-2-3-1, which was used by Heynckes and his immediate successor Pep Guardiola. With Robert Lewandowski up top supported by Arjen Robben on the right wing and Kingsley Coman on the left wing. Thomas Müller in the meantime was playing right behind Lewandowski in a traditional supporting role. Further, back Thiago as the attacking pivot and Javi Martínez as the holding midfielder were giving stability to Bayern’s midfield. The backline was centred on world champions Jérôme Boateng and Mats Hummels with David Alaba, on the left, and Joshua Kimmich, on the right, acting as the two wing-backs. Facing Bayern was a Freiburg side that has never won a game in Munich. It was, therefore, no surprise that Freiburg sat deep trying to hit Bayern on the counter-attack. Freiburg head coach Christian Streich relied on a compact 5-3-2 formation with Florian Niederlechner and Liverpool loanee Ryan Kent playing up top. Both Niederlechner and Kent provided the speed that could have potentially hurt Bayern. But with Martínez in midfield and Boateng and Hummels providing defensive coverage Freiburg was unable to surprise the Bavarians. Only once, in the sixth minute, did Ryan Kent escape Bayern’s backline, but the often criticised Sven Ulreich came up with a big save to keep Freiburg off the board. Shortly after Bayern scored. Kent lost the ball in midfield to Kingsley Coman, who spotted David Alaba on the left-wing and his low cross came off Julian Schuster to roll past Freiburg keeper Alexander Schwolow to make it 1-0. At that point, Freiburg were still in the game and could have had an equaliser in the 35th minute when Mike Frantz’s header just went off target. Seven minutes later though Bayern wrapped it up. Robben carved apart Freiburg’s defence and Robben’s low drive was poorly cleared by Schwolow, which allowed Coman to head home the rebound. Against Wolfsburg and Hertha Bayern gave away a 2-0 lead, but as Christian Streich pointed out ahead of the match “Bayern giving away another 2-0 lead will not happen for another 50 years” proved to be correct. Going into halftime Bayern were dominant with 76% ball possession, leading 15 to 5 in shots on goal and 366 to 83 in accurate passes over SC Freiburg. The second half was more of the same for Bayern. 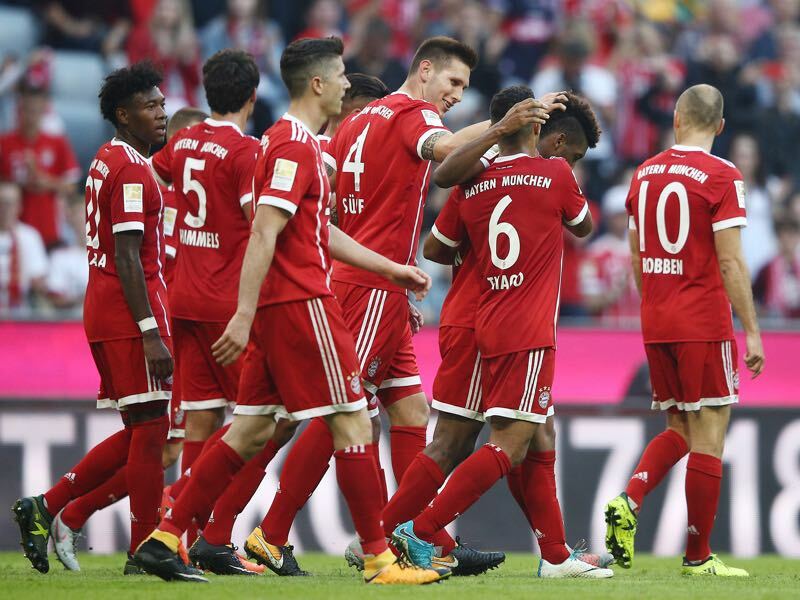 Although Munich had less ball possession with just 56%, Bayern never seemed in doubt of giving this game away, and in 63rd minute Thiago made it 3-0 with a low shot from 25-yards. The goal came at just the right too. Moments before referee Frank Willenborg had waved off a penalty decision after consulting VAR. Çağlar Söyüncü appeared to have played the ball; replays, however, showed that the Turkish defender hardly touched the ball and certainly did not handle the ball with intent. In retrospect, it is doubtful that Bayern will protest the decision too much though. In the 75th minute, Robert Lewandowski made it 4-0 after Söyüncü lost the ball to Thomas Müller; he then spotted his attacking partner, who made no mistake to score his compulsory goal against Freiburg—Lewandowski has now scored 13 goals and six assists in 12 games against the Breisgau Brasilianer. Bayern, however, were not done yet. Joshua Kimmich topped off a five star Bayern performance with a beautiful backheel goal after a low cross from Coman. 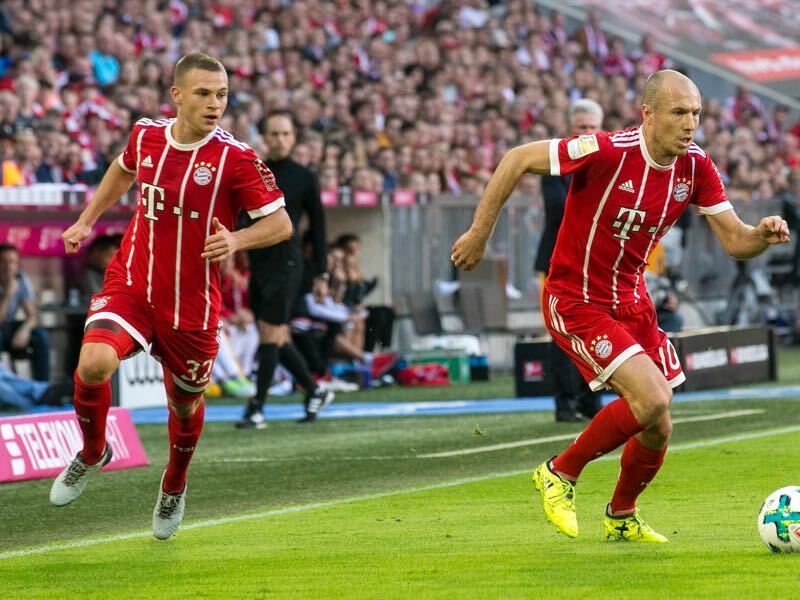 Overall it was a convincing performance in Bayern’s first game under Jupp Heynckes. The 72-year-old coach did not come up with tactical innovations. 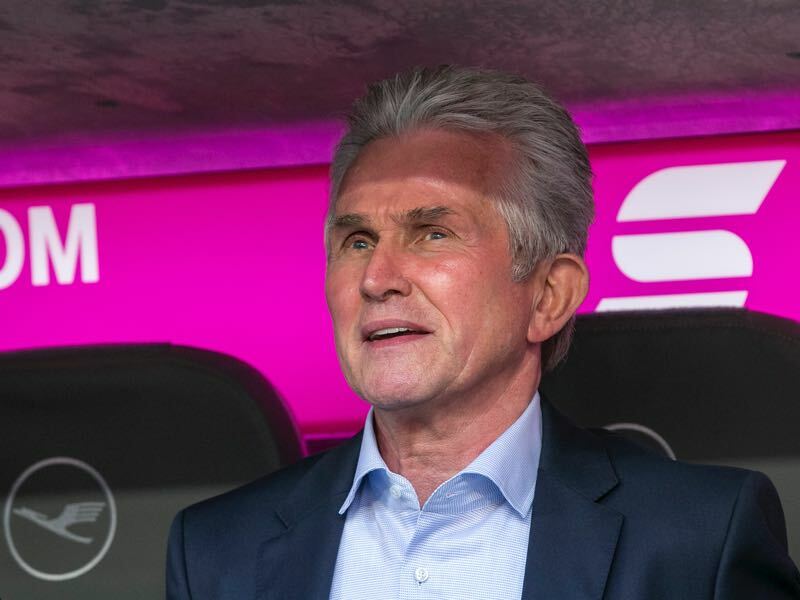 Instead, Jupp Heynckes strengthen the critical players in the squad by returning them to the starting eleven. The 4-2-3-1 formation also seemed to be a better fit regarding stability than Ancelotti’s 4-3-3 formation. One of the key players was Javi Martínez whose presence in midfield allowed compensating for the absence of goalkeeper Manuel Neuer by almost providing another centre-back at the back. Martínez, however, went down with an injury in the second half and with the games now coming thick and fast his absence would be a significant blow in Heynckes’ attempt to stabilise the club. For now, however, Bayern are back on track and ready to host Celtic in the UEFA Champions League on Wednesday at the Allianz Arena.